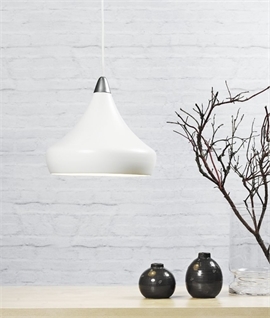 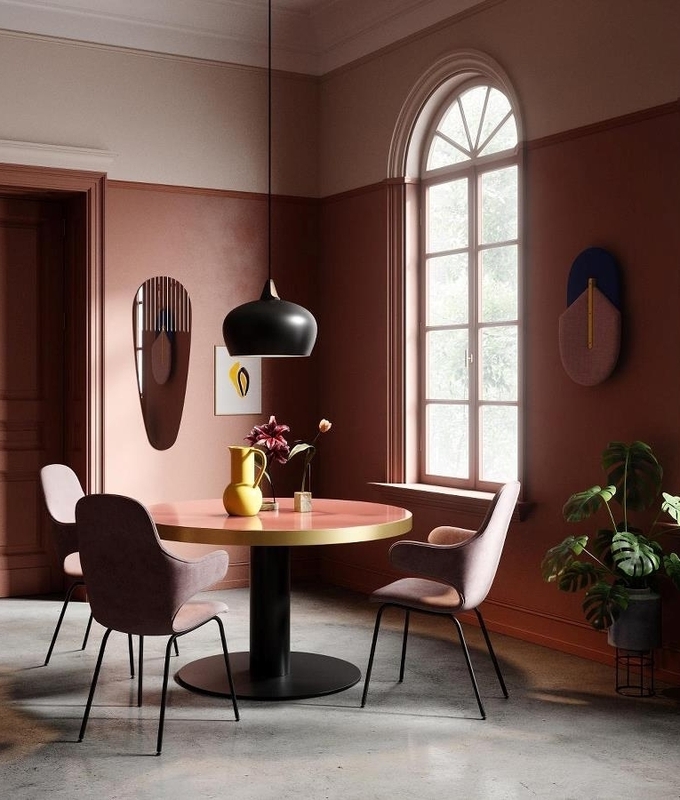 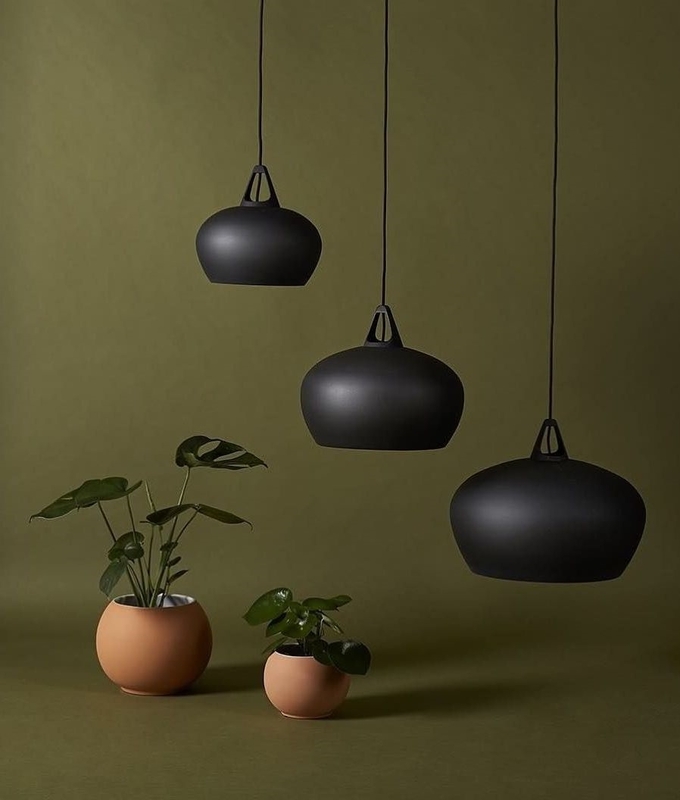 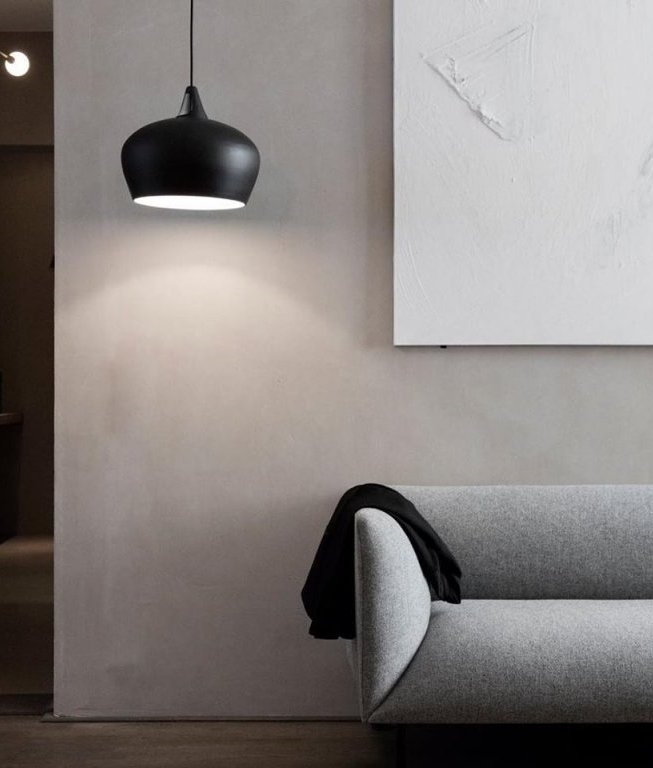 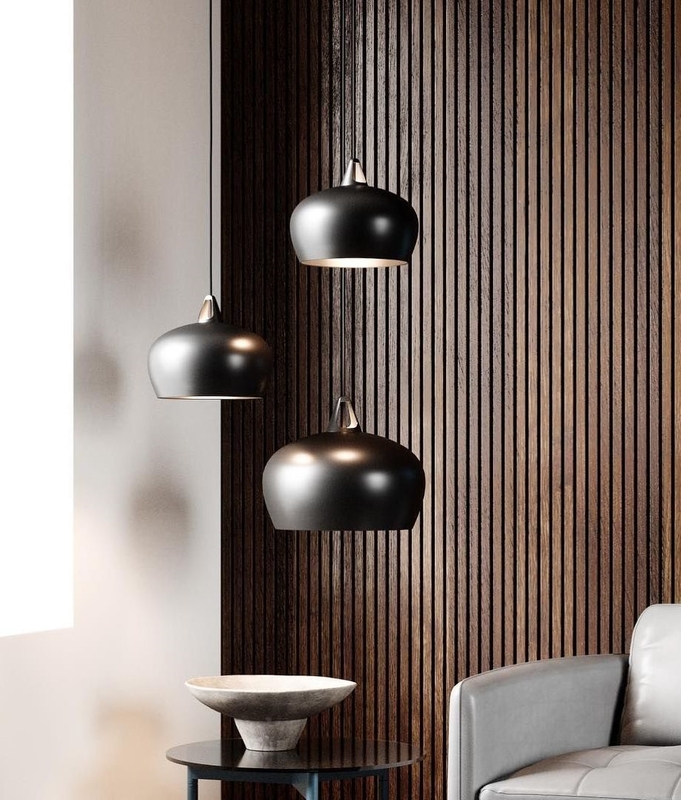 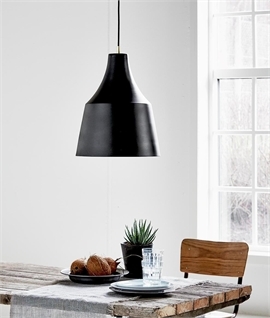 Whilst these pendants are unmistakably a Danish design, they have been inspired by the shape of a traditional Japanese teapot. 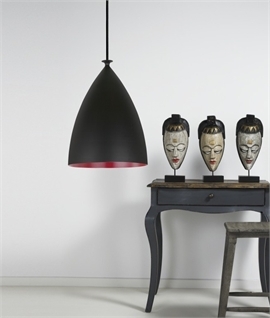 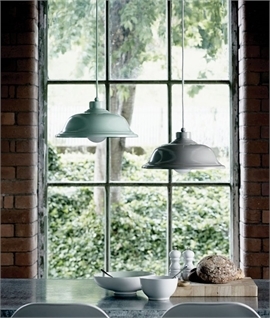 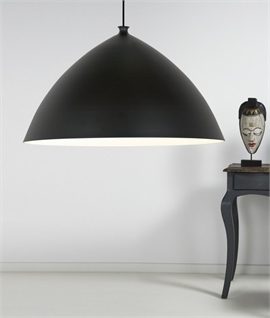 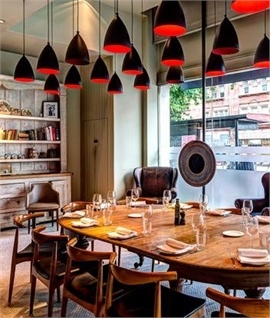 This gives the pendants a strong, artisan expression as the shade is made by hand. 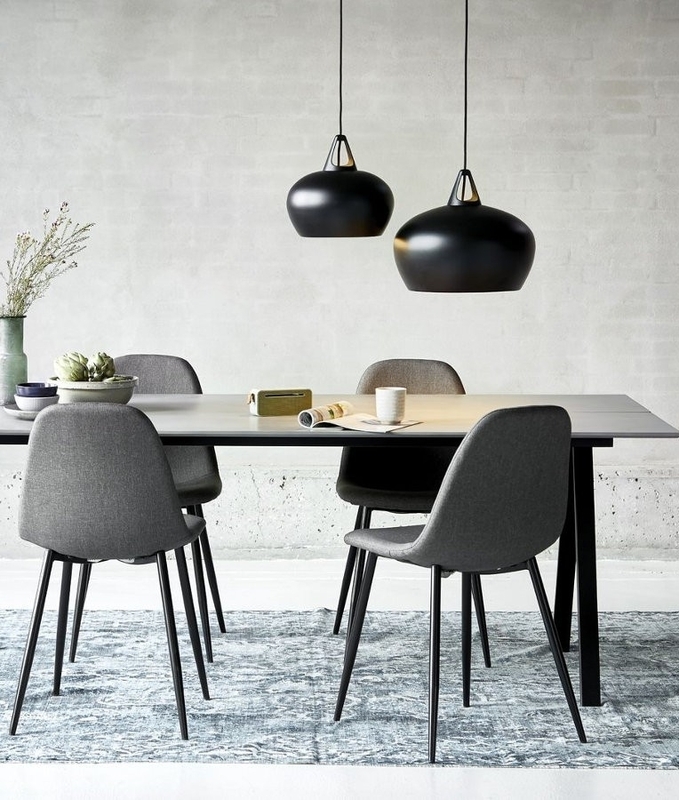 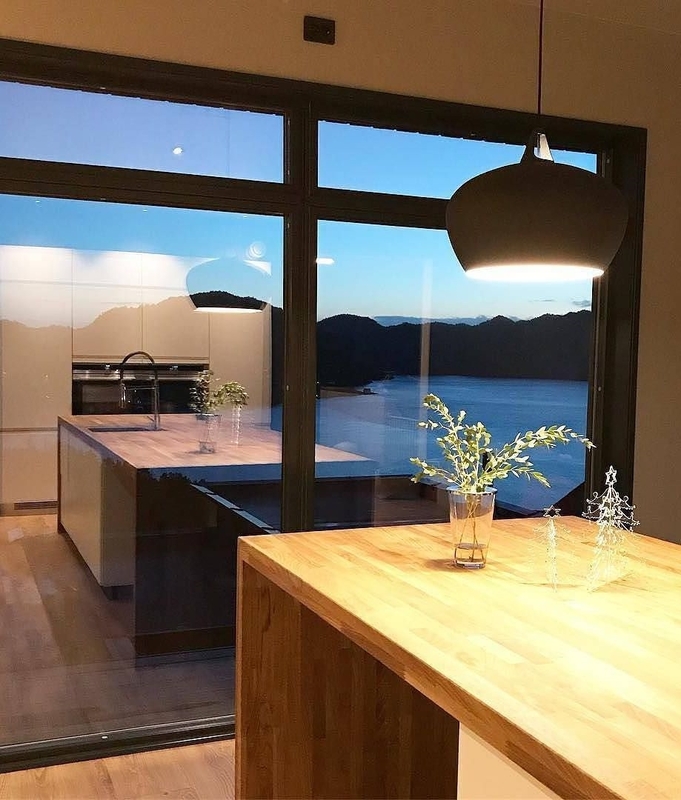 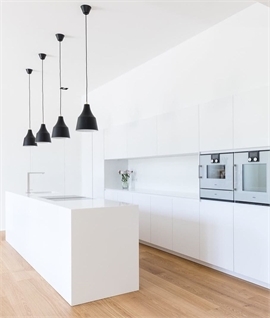 Nordic and Japanese design is very similar - both use simplicity and good materials to ensure they are functional yet pretty in an understated way. 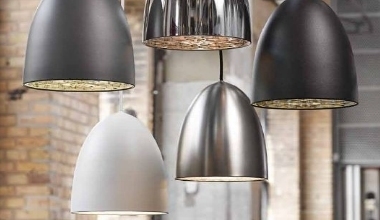 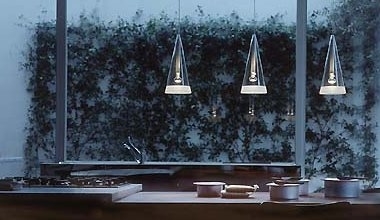 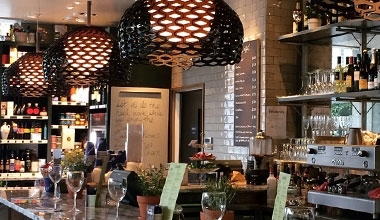 These Belly pendants look robust yet are light and provide great illumination from below and above (see close-up photograph of top detail). 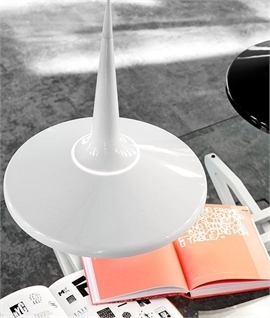 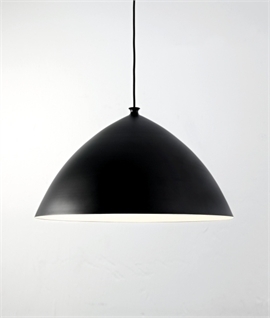 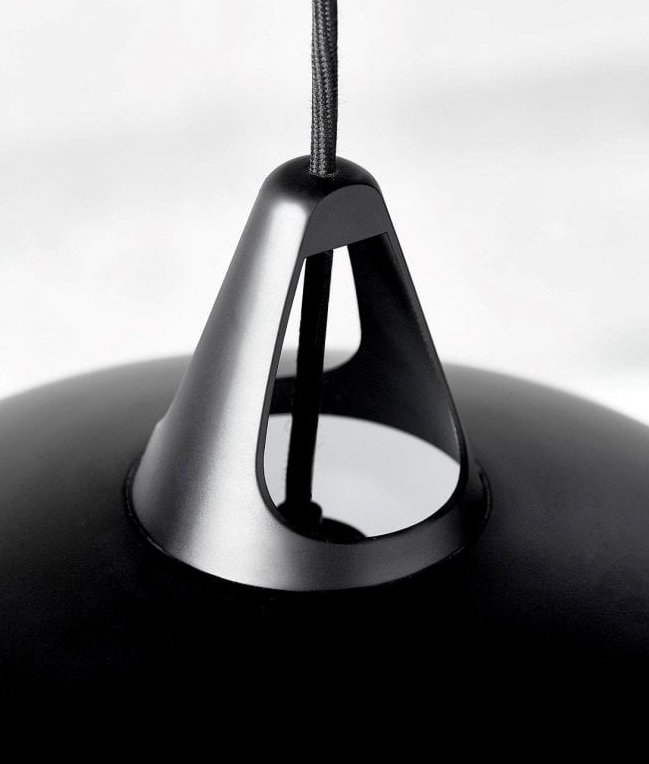 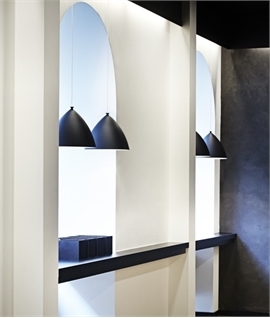 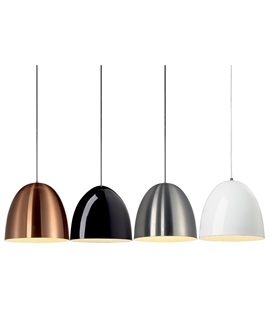 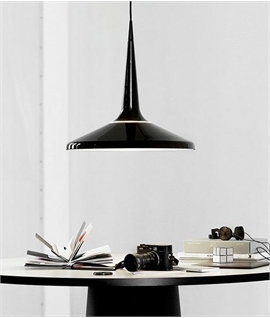 The inside of the pendant is white so light will be reflected and shine predominantly underneath the shade. 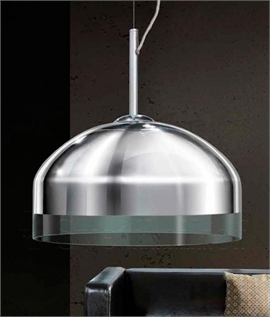 Available in three sizes one or more would look great in many areas of the home or commercial area. 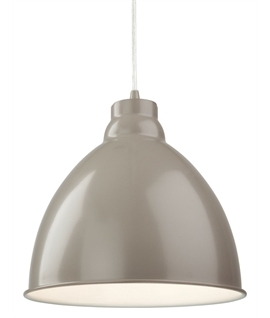 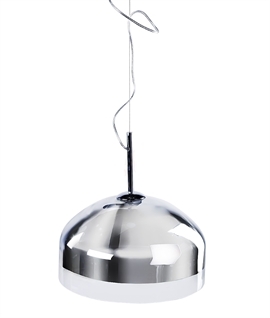 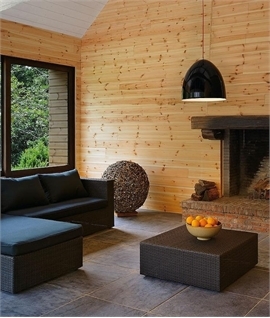 All are designed for use with a mains E27 base lamp up to a maximum of 60 watts. 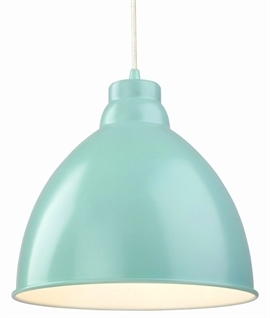 If you wish to dim the light please ensure you choose a dimmable lamp for the fitting. 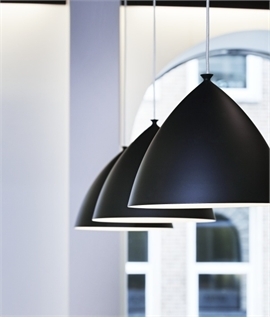 The black fabric cable flex measures 3 metres in length and can be shortened at installation.